Riley Blake Designs "Small Dots" by Riley Blake Designs. 100% cotton, pattern C350-20 Aqua. Pattern measures 1/4" in diameter. 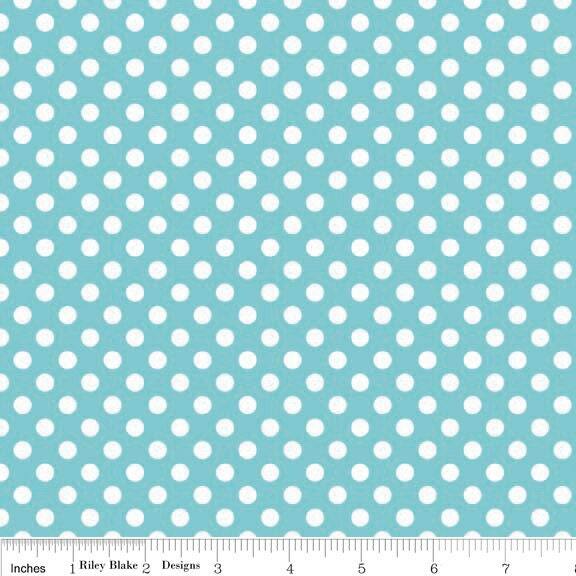 PLEASE NOTE:The Dots are printed the length of the fabric which is parallel to the selvage. If you purchase more than one cut option of the same fabric it will be cut as a one continuous piece unless you request otherwise.